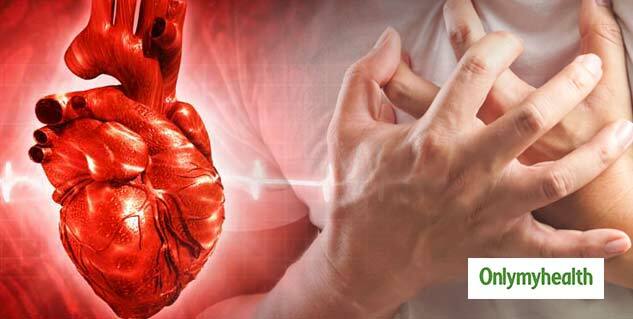 Global estimates show that the number one cause of death among humans is cardiovascular disease (CVD). Approximately 17 million people died in 2016. Between 1990 and 2016, the death rate due to CVDs in India rose by 34 percent (approx.). This statistic has given rise to the need to be better aware of heart health. A key reason for heart risk among Indians is Belly Fat! As many as 7 out of 10 Indians are at an increased cardiac risk due to belly fat. Focus should be on preventive measures like maintaining a healthy lifestyle to check the rise of heart conditions in India. A person may give an overall impression of being ‘thin’, yet may have accumulated fat around the waist, which bulges out from tight fitting clothes. This is the ‘belly fat’ also known as ‘abdominal’ fat. The belly bulge, is an indicator of increased risk of metabolic disorders especially heart disease and other cardiac risks. Bellyfat is considered more harmful than the fat on the hips. 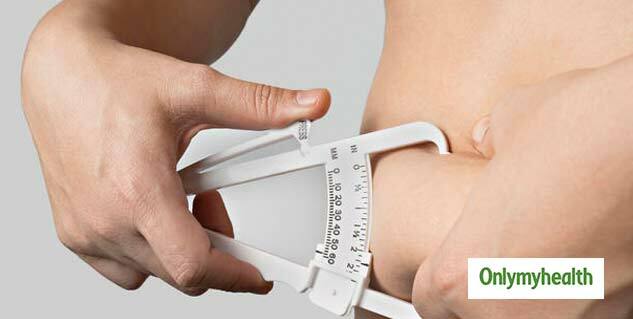 An estimate of the amount of belly fat can be made by measuring the waist circumference, using a soft measuring tape. For Indians, men having a waist circumference of 90 cms or greater and women with 80 cms waist or higher are at greater risk. Further a calculation of the waist to hip ratio, WHR (waist circumference divided by hip circumference), can be made. A WHR of more than 0.85 for women and more than 1.0 for men is suggestive of increased heart disk due to belly fat. The heart is an important organ of the body supplying oxygen and nourishment to the entire body. So its health has to be ensured. Various factors can impair the functioning of the heart. One of them is excess belly fat. The greater the belly fat, the greater is the risk of cardiovascular (heart) diseases. This is because obesity and excessive belly fat are generally associated with elevated triglycerides (TGs), elevated low-density lipids (LDL- the bad cholesterol), increasing blood pressure and impaired glucose tolerance. LDL is the main carrier of cholesterol and TGs to the lining of arteries forming thickenings called “plaques” which narrow passage and cause obstruction in blood flow to the heart. This can result in a heart attack. Why do so many Indians have belly fat? The genetic constitution of Indians is largely responsible for their belly fat. Thus we as a race have to work even harder to keep the abdominal fat under check with diet and exercise. However the Indian diet is also not very conducive to controlling belly fat either. A lot of it is high in sugar, binge eating of Indian sweets especially during festivals. It consists of refined carbohydrates like basmati rice, semolina, white flour and fried foods. The fried food in itself is not the villain. The problem arises when saturated fat is used for frying. Thus it is never too late to cut down animal fats like butter, cream and high fat dairy. It is also important to cut cheap vegetable oils made solid by hydrogenation (hydrogenated fats). These are found in margarines, packaged baked food, biscuits, confectionary, French fries and other fast foods. They are the most dangerous as they raise the LDL levels substantially. 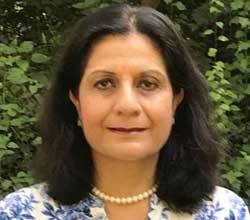 Healthier options of oils containing PUFA and MUFA must be encouraged. They keep LDL levels low. An advisory from American heart Association (2015-2020) - Replacing saturated fats with PUFA vegetable oils reduced cardiovascular disease risk by 30 percent similar to the reduction achieved by statins. 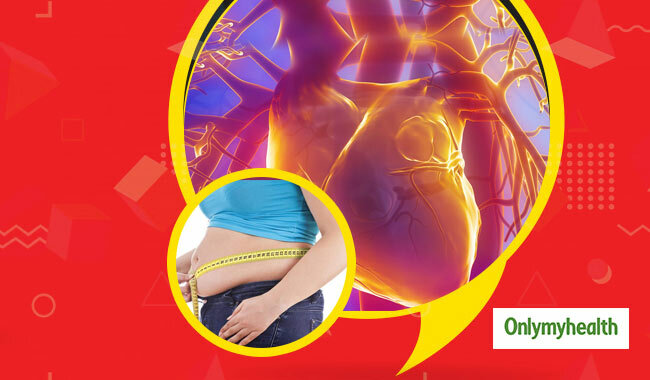 As indicated belly fat raises the LDL and cholesterol levels in the blood which deposits in the arteries causing blocks and eventually heart disease. Thus, it is essential to do regular physical activity and make timely behavioral and dietary interventions. This will go a long way in saving your heart.